Home » Colombo Centenary International Scout Jamboree (CCISJ) 2014 » OFFICIAL THEME SONG OF THE COLOMBO CENTENARY INTERNATIONAL SCOUT JAMBOREE (CCISJ) 2014 RELEASED! 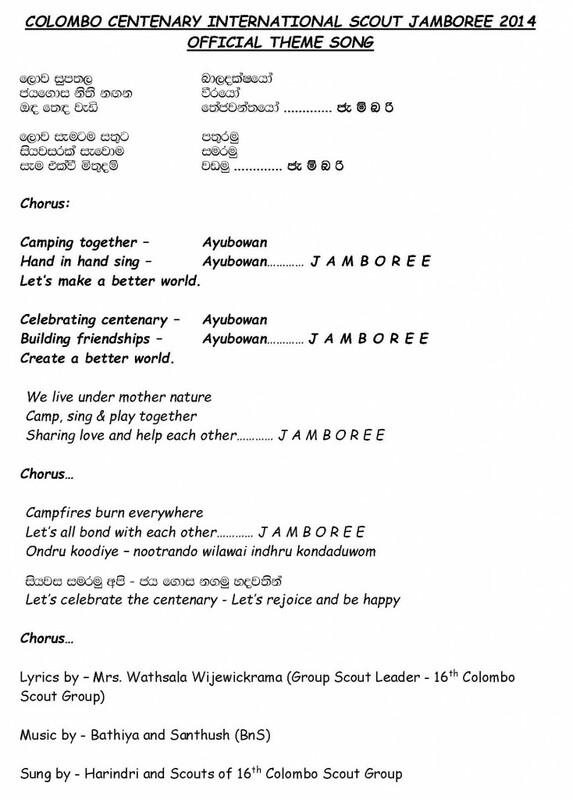 OFFICIAL THEME SONG OF THE COLOMBO CENTENARY INTERNATIONAL SCOUT JAMBOREE (CCISJ) 2014 RELEASED! This video is the sole property of the 16th Colombo Scout Troop of S. Thomas’ College, Mount Lavinia, Sri Lanka. Our sincere acknowledgements go to the Scout Media Unit of the SLSA and the Colombo District Branch for providing footage of National and District events.